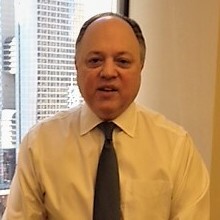 Gary Kokalari is a Senior Financial Advisor and Vice President with Merrill Lynch where he develops customized strategies to help clients meet their personal and business financial goals. Gary has over thirty years of experience in the financial services industry and holds an M.B.A. in finance from the Wharton School and a B.S. from the Boston University Questrom School of Business. He also serves on the boards of philanthropic and advocacy organizations engaged in campaigns to provide humanitarian aid to war refugees as well as efforts to combat ethnic cleansing.